Datacom has undergone a major restructure, launching four new business units aligned to its go-to-market strategies, while shaking up its executive leadership line-up as it works to stay on the front foot to meet customers’ needs into the future. The New Zealand-headquartered IT services firm’s freshly-appointed group CEO Greg Davidson on 30 May detailed the recent changes undertaken by the company, suggesting that they make the most Datacom Group’s potential. "These changes harness the full potential of Datacom Group, leveraging our size, scale and expertise to create exceptional capabilities for our customers, and great opportunities for our people,” Davidson said. Among the changes is a new company structure that sees the provider spin up four new market-facing business units focusing on specific geographies or sectors. These include Australia Commercial, New Zealand Commercial, Public Sector A/NZ, and International. These business units will operate alongside the group-wide Connect, Operations, and Products and Marketing businesses. Meanwhile, the company’s People and Finance corporate functions will continue to support the group unchanged from their previous form. According to Datacom, the new units are designed to align the company’s go-to-market strategies, including unified sales, customer advocacy, products, software development, cloud, IT outsourcing, networks and data centre services across the organisation. “Datacom’s purpose is to help organisations and communities to a better place by connecting people and technology," Davidson explained. "These changes harness the full potential of Datacom Group, leveraging our size, scale and expertise to create exceptional capabilities for our customers, and great opportunities for our people." The new structure follows an extensive planning program that involved feedback from Datacom’s customers across the region. According to Davidson, the resulting organisational structure and go-to-market approach best prepares the business to meet its customers’ future demands. At the same time, the company has outlined some new changes to its leadership line-up, with Datacom Systems Victoria director Alexandra Coates named as the group’s chief operating officer and head of the operations business. The role will see Coates focused on growing Datacom’s efficiency and service delivery of its scale activities including IT outsourcing, network management, and product back office. Datacom’s Wellington director Mark Muru, meanwhile, has been named as the company’s public sector managing director for A/NZ. As managing director, public sector, Muru is responsible for directly providing services to government in Wellington, Canberra and Western Australia along with public sector and government support to all other Datacom locations. Datacom Connect director Stacey Tomasoni has had a title change to managing director for the Connect business, a role that sees her continue to drive differentiated services that combine service design, artificial intelligence (AI), analytics and intelligent customer engagement platforms across the group. Furthermore, Datacom Solutions managing director Jonathan Usher has taken the title of group products and marketing managing director, with Usher’s teams responsible for Datacom’s various product offerings including data centres, hybrid and private cloud, local government solutions, and payroll solutions. Bob Peebles, who joined Datacom in 2017 as head of its Software Australia business has been named as the company's Australia Commercial managing director, a role that sees him build new sales capabilities in Australia, growing the IT outsourcing and software business, and focusing on Datacom’s public cloud offerings. 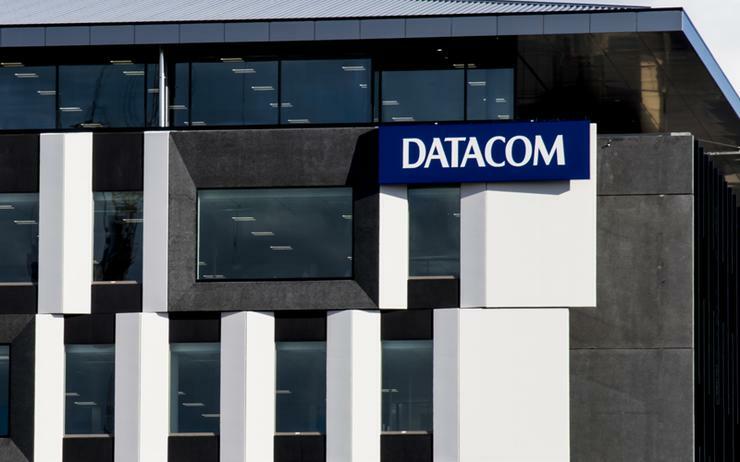 Datacom said it will continue to make significant investments to balance its existing portfolio with emerging growth areas, with the company citing an emphasis on new approaches to professional services, including software development, digital transformation and customer experience. Also in the company’s sights are new approaches to infrastructure automation and transformation, data and artificial intelligence, machine learning, network design and deployment, and cyber security. “These changes will enable our most experienced leaders to bring their experience, insight and imagination directly to our customers, and to the management of our business,” Davidson said. “This customer and market-driven strategy will best apply our expertise from across the entire company. “I’m pleased that we have been able to do this while still retaining the strong local culture and leadership in each of our locations." It was revealed in November last year that Davidson would succeed Jonathan Ladd as Datacom Group CEO from April 2018, as the technology provider embarked on a leadership change ahead of the new year. Davidson said at the time that the next chapter in Datacom’s history will leverage past successes, built around the provider’s strong heritage of customer focus, innovation and agility.